The Medusae Fossae Formation on Mars has baffled planetary geologists since the unusual soft rock deposit was first seen by the Mariner spacecraft in the 1960s. 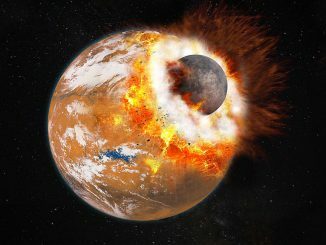 New research suggests the vast formation was built up during bouts of explosive volcanic eruptions more than three billion years ago when huge amounts of climate-changing gases were pumped into the Martian atmosphere along with enough water to cover the entire planet to a depth of four inches. The formation is one-fifth the size of the United States and 100 times more massive than the largest similar formation on Earth. 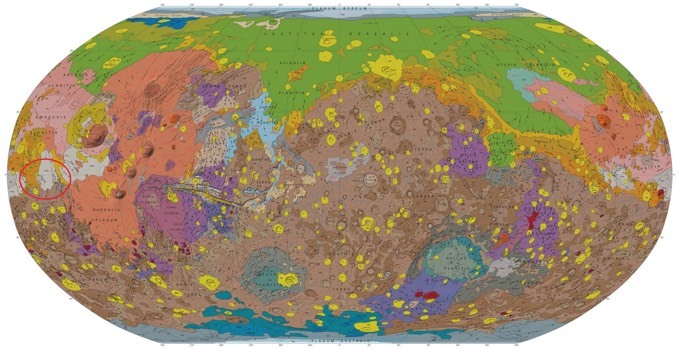 “This is a massive deposit, not only on a Martian scale, but also in terms of the solar system, because we do not know of any other deposit that is like this,” Lujendra Ojha, a planetary scientist at Johns Hopkins University in Baltimore, said in an American Geophysical Union release. In a paper published in the AGU’s Journal of Geophysical Research: Planets, Ojha says the volcanic explosions that formed Medusae Fossae likely ejected enough greenhouse gases to warm the planet enough for water to remain a liquid at the surface. But toxic hydrogen sulphide and sulphur dioxide would have altered the planet’s chemistry and affected its habitability. 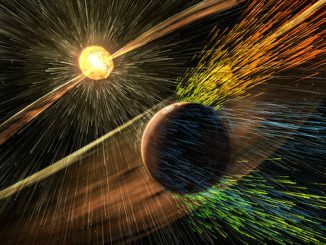 The formation is made up of sedimentary rock straddling the Martian equator. Previous radar measurements suggested an unusual composition, but researchers were unable to tell whether it was made up of low-density, porous rockets or a mixture of ice and rock. 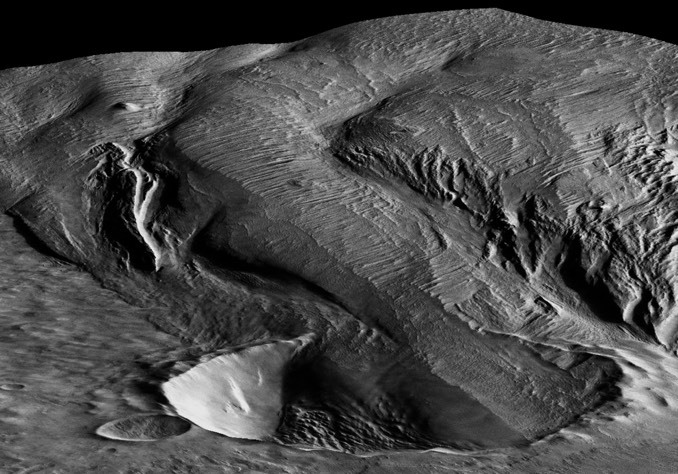 Using gravity data from several Mars orbiters, Ojha and his colleagues were able to measure the formation’s density for the first time, finding it to be about two-thirds as dense as the rest of Mars’ crust. Radar and gravity data ruled out the large-scale presence of ice. Because the rocks are so porous, the most likely explanation is that it was formed during explosive eruptions that blasted huge amounts of ash and rock into the atmosphere. The ash then settled to the surface, flowing to lower ground and eventually cementing into rock. Much of the original rock has eroded away, leaving hills and valleys in its wake that are visible today. The new study suggests Mars’ interior is more complicated than previously thought, once harbouring huge amounts of volatile gases to build up a formation the size of Medusae Fossae. 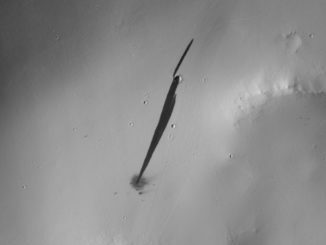 A bang and a whoosh – how researchers describe the recent impact of a small meteoroid on the side of a martian hill and a long avalanche of dark, dry dust that stretches more than a kilometre (0.6 mile) down the slope.